Science and Valentine's can be a good tandem, too! 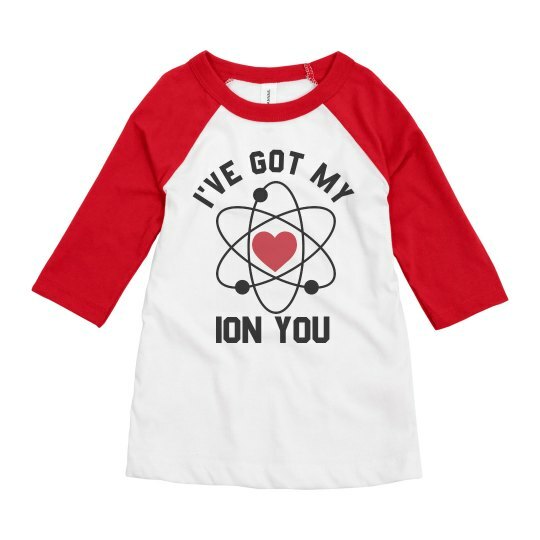 Have your little boys wear this I've Got My Ion on You shirt to express that your ions are all about a special person! It would be so much fun to walk around during Valentine's Day with this shirt on and I am sure a lotta heads are gonna turn!